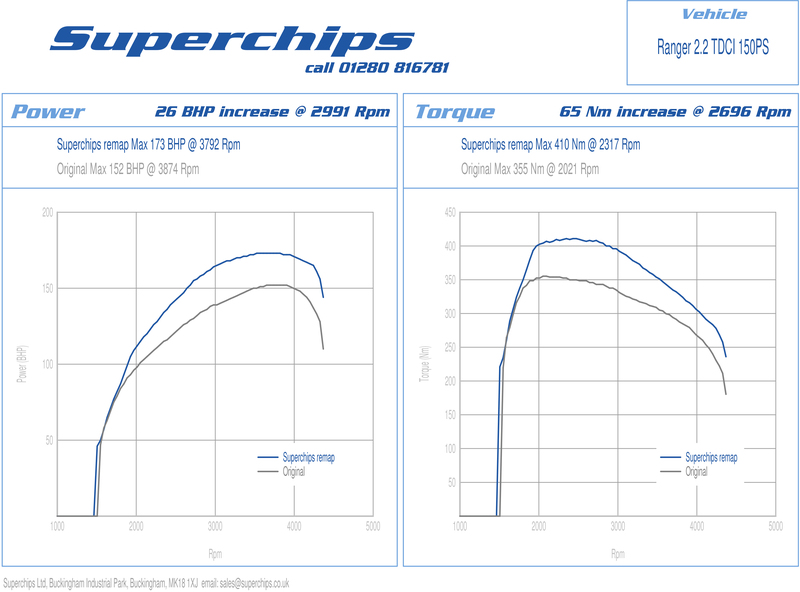 The latest addition to the range of remaps from global leader Superchips gives drivers of Ford’s Ranger pick-up truck a healthy performance boost, combined with improvements in fuel economy when driven in a like-for-like manner. Using the latest version of the 150PS Ford 2.2-litre turbo diesel engine, the T6 Ranger, from 2011 onwards, has a respectable 148bhp and 375Nm torque from the factory. However, owners and drivers of the Ranger can achieve significant improvements thanks to Superchips’ in-house development work on the engine. 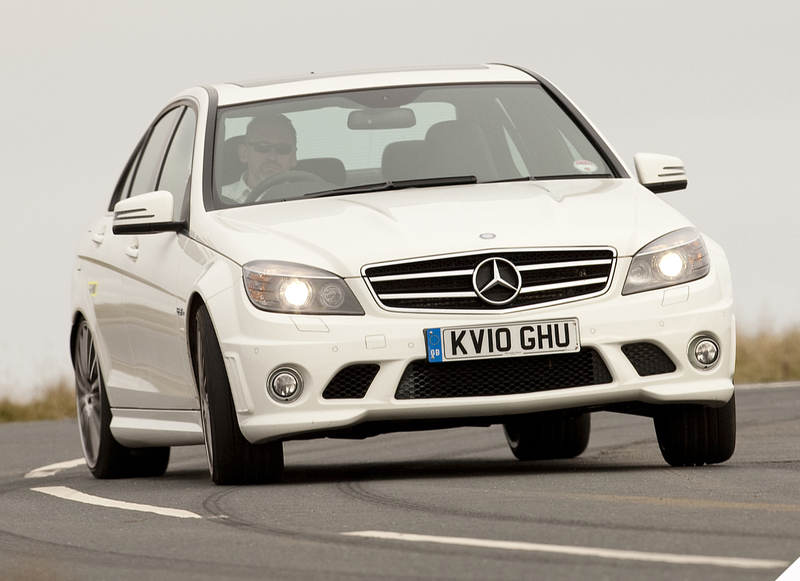 Its remap optimises the turbo boost pressure and fuelling characteristics to release an additional 26bhp at 2991rpm and a staggering 65Nm at 2696rpm. Gains are also evident throughout the engine’s rev range, from as low as 1500rpm, exactly where they are needed for a vehicle that is intended as a workhorse, typically hauling heavy loads or towing trailers or caravans and, for the 4×4 version, potentially operating off-road as well. And when driven in a comparable manner, owners can expect to achieve improvements in fuel economy of around 7% – particularly useful for vehicles used in a work environment. The remap can be applied using Superchips’ Bluefin hand-held programmer. However, before this can be used, the vehicle’s ECU must be enabled to allow the subsequent Bluefin use. This is something that can be carried out easily and quickly by a Superchips dealer, who will also supply the Bluefin device. The use of the Bluefin means that if the owner decides to revert to the original settings, for example if they sell the vehicle, they can do this themselves in a matter of minutes. The cost of the Ford Ranger remap is £399 inclusive of enabling the ECU and VAT and the conversion is covered by Superchips’ industry-leading 12-month/30,000-mile warranty*.